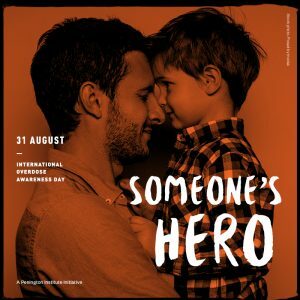 On August 31st, 2018 a concerned group of citizens in Windsor Ontario have arranged a “National Overdose Awareness Day Windsor Ontario” According to this 2017 article Ontario sees 68 percent spike in opioid overdose deaths this year!! What will it be this year? We are doing a peaceful demonstration starting at the Downtown Mission and walking to City Hall on Friday (for International Overdose Awareness Day). This is to bring awareness of all of the overdoses happening in our community, and to all of the deaths that are occurring because of it. It is also to tell them that an Overdose Prevention Site (OPS) will be started and they can join us, or we will go ahead without them. We meet at the mission (664 Victoria Ave.) at 1:00pm Friday August 31 and leave out at 2:15pm walking to City Hall where we will do a peaceful demonstration outside, and then go inside to sit on the floor in complete silence. This is to make an impactful community statement to our city officials. We are inviting all media and anyone else who would like to take a stand (seat) for overdose awareness. Bring a pair of shoes and a little note about the person you have lost due to a drug overdose. Opioid related deaths are up across the province by a whopping 52 percent. Locally, the Windsor-Essex County Health Unit says the death rate is still too high. Stats show there were 37 opioid-related deaths in 2016, and from January to September in 2017, there were 19 deaths. That compares to 24 opioid deaths in Windsor-Essex in 2015. Acting Medical Officer of Health, Dr. Wajid Ahmed, says not all of the deaths are from recreational use. He points to stats that show nearly 2-million people in Ontario fill prescriptions for opioids every year. wants to educate the public on WHY a safe injection site is necessary. If the City does not fund one, funds will be raised for a private site or mobile unit. There are hundreds of private individuals who are forming groups to put the pressure on the Ontario Government. Doug Ford needs to listen and realise that Windsor is at a State of Emergency Level. The president and CEO of Hotel-Dieu Grace Healthcare Janice Kaffer calls the provincial government’s decision to pause approvals of any new overdose prevention sites “unsurprising” — but added the centres are a necessary addition in Windsor and Essex County. 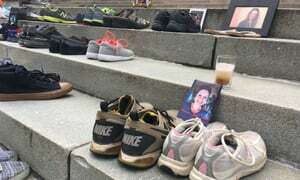 event in Windsor will include a silent protest, as well as individuals laying shoes down with a card, or a candle to remember a loved one who died of an overdose. One of the advocates for this event said “It is sad, most people think that overdoses are only happening on the street. But thousands of parents have lived through finding their child dead in their home due to an accidental overdose. ” These parents have asked themselves over and over, WHY didn’t I see the signs my child was doing drugs? Wives ask how did I not know my husband had a problem. Husbands, Friends, Grandparents all ask the same question. Drop by the Downtown Mission and get information or attend the event at the City Hall. We need to know the signs, we need to know where to get help.